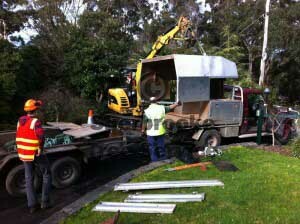 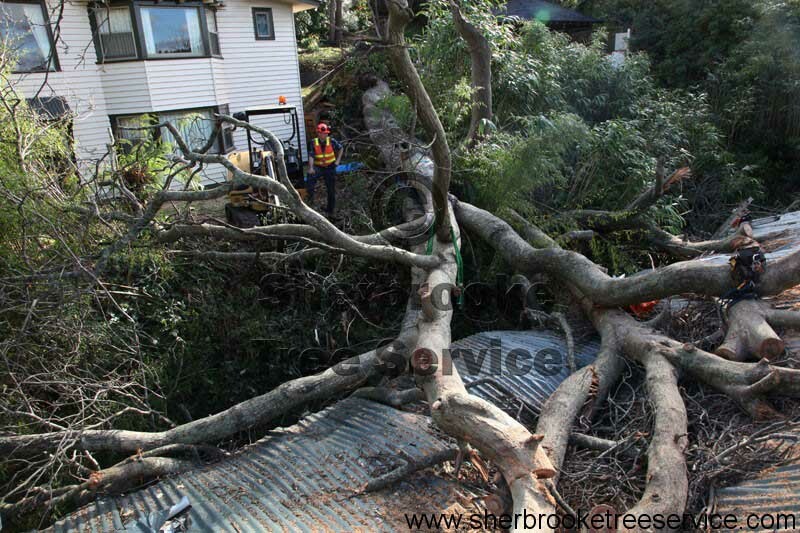 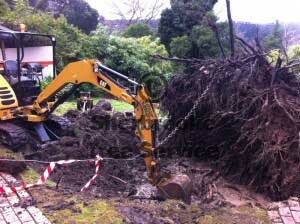 Nasty storm damage tree removal in Belgrave a few weeks back. 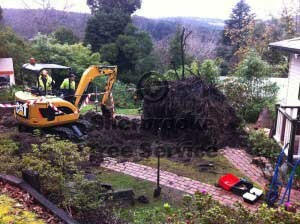 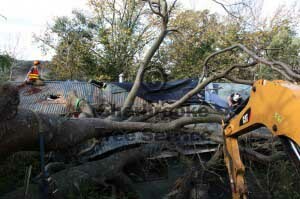 A large Pin Oak (Quercus palustris) had blown out of the ground during a storm that swept through Belgrave. 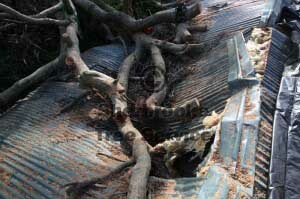 The tree uprooted and fell downhill through a neighbours roof. 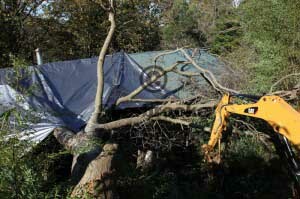 There was over 15ton in the trunk alone, and access to the property was particularly tricky given the steepness of the terrain, the season and the sheer volume of tree to be cleaned up. 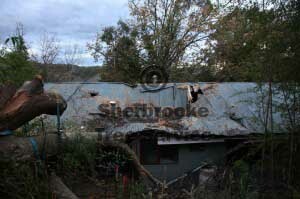 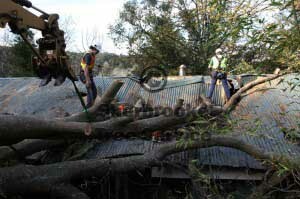 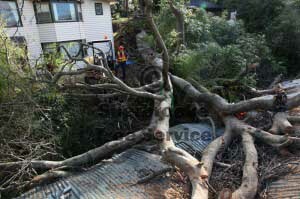 The tree had fallen heavily onto the Belgrave neighbours roof. 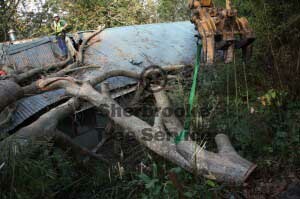 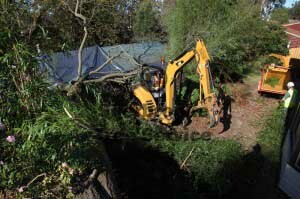 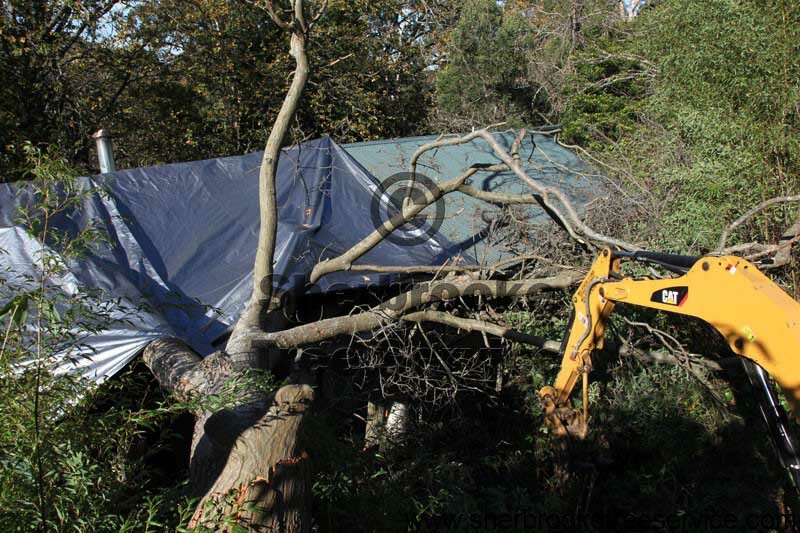 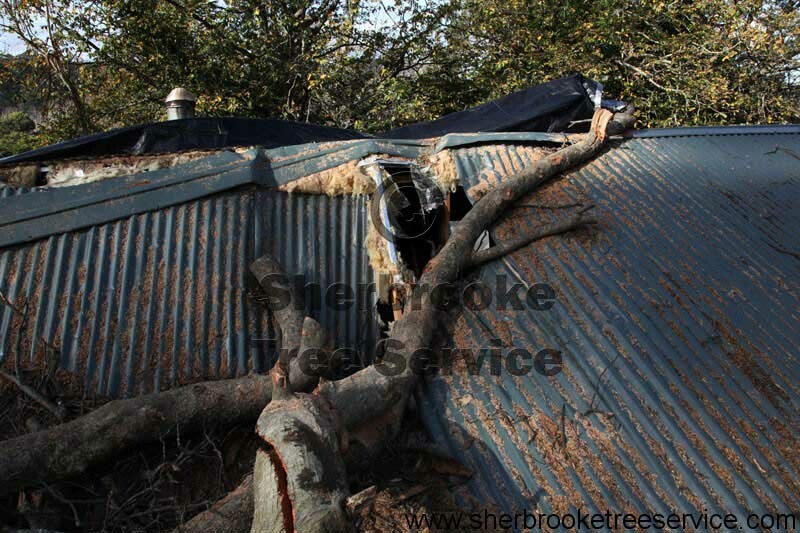 The first task was to stabilise the tree to prevent further damage from being done. 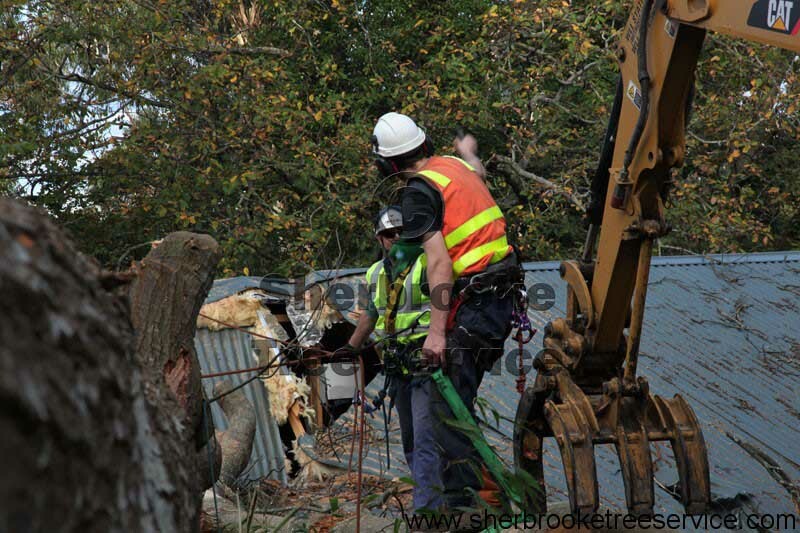 We used 3/4″ Steel cable to prevent the tree from moving further. 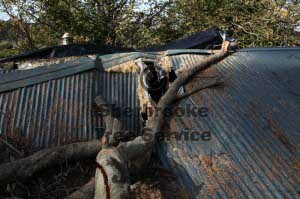 This was pre tensioned with a tree winch or tirfor. 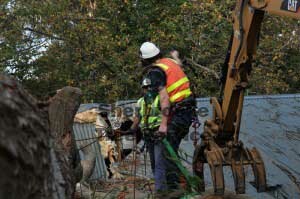 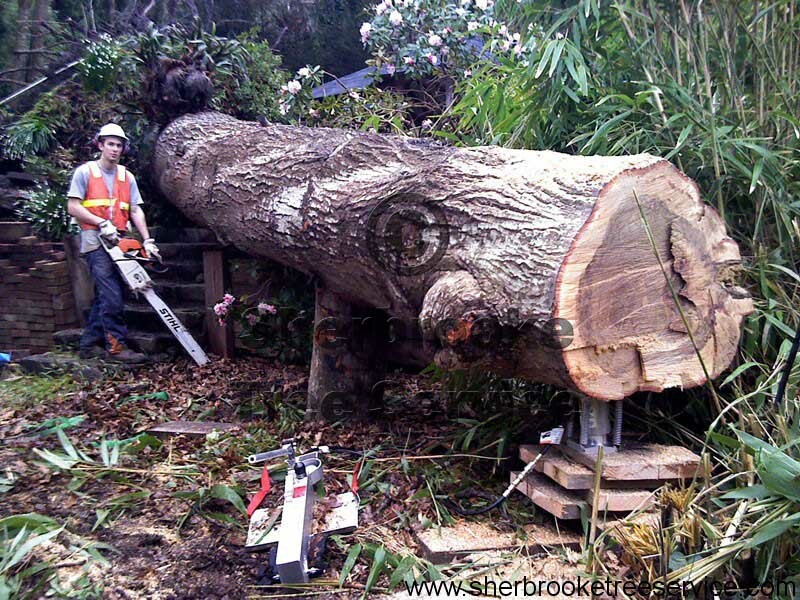 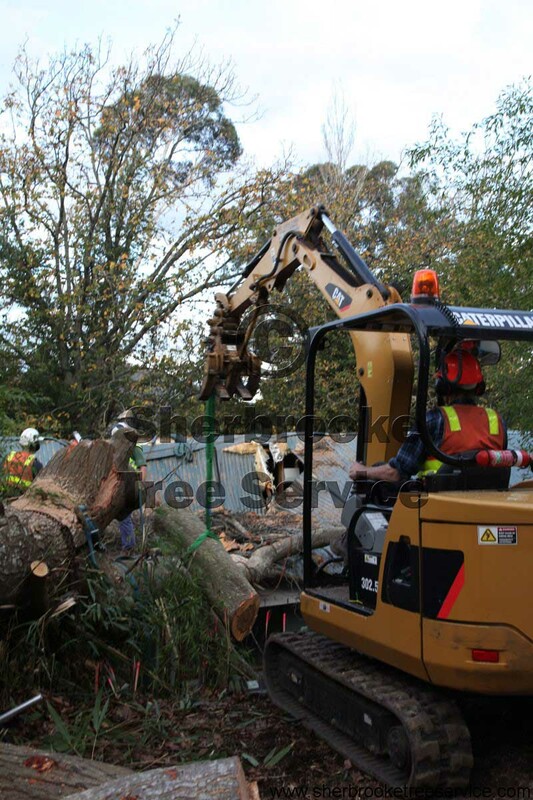 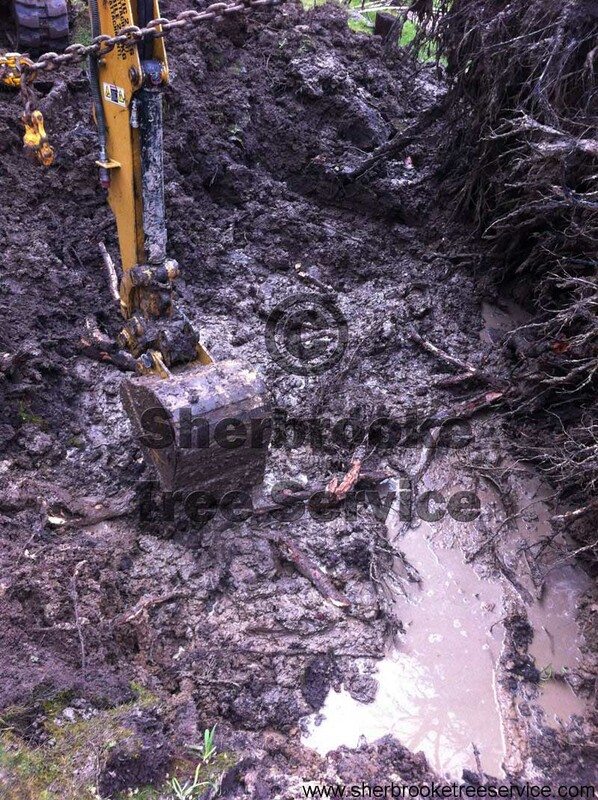 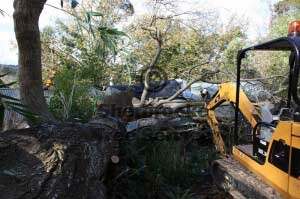 Tree removal in Belgrave can be tricky given the terrain and sheer size of many of the trees that have grown at the base of the Dandenong Ranges. We used our trees jacks to take the weight of the tree off the house. 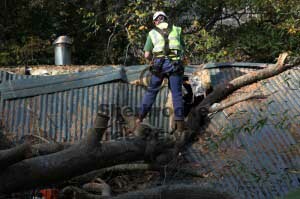 A rope access system was installed to ensure work could commence as safely as possible. We then removed any tree branches not touching the roof. Jacked the tree up some more, giving us some more clearance. Removed larger branches, working our way back to the gutter. 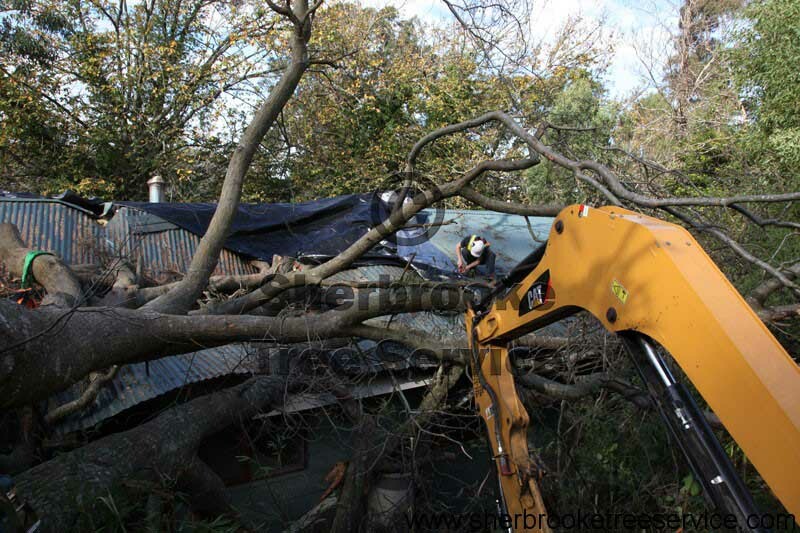 Once we were clear of the roof, we could easily use the excavator to lift heavy wood sections that were sitting in free space, and load them to go off-site. We pulled the stump back into the hole (after clearing the stump hole of mud! ), and used a stump grinder to get rid of it. 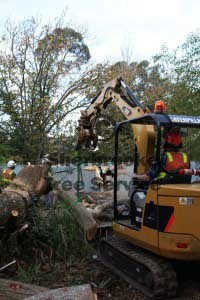 I’ve uploaded some photos of the Belgrave Tree Removal, by the time we had removed many cubic meters of wood from the site the photos became less frequent, but you’ll get the idea.